This first comprehensive survey of Paul Evans’s work, this exhibition will document Evans’s role in the midcentury American studio furniture movement, his approach to furniture as sculpture and abstract composition, and his unremitting new approaches to metal. 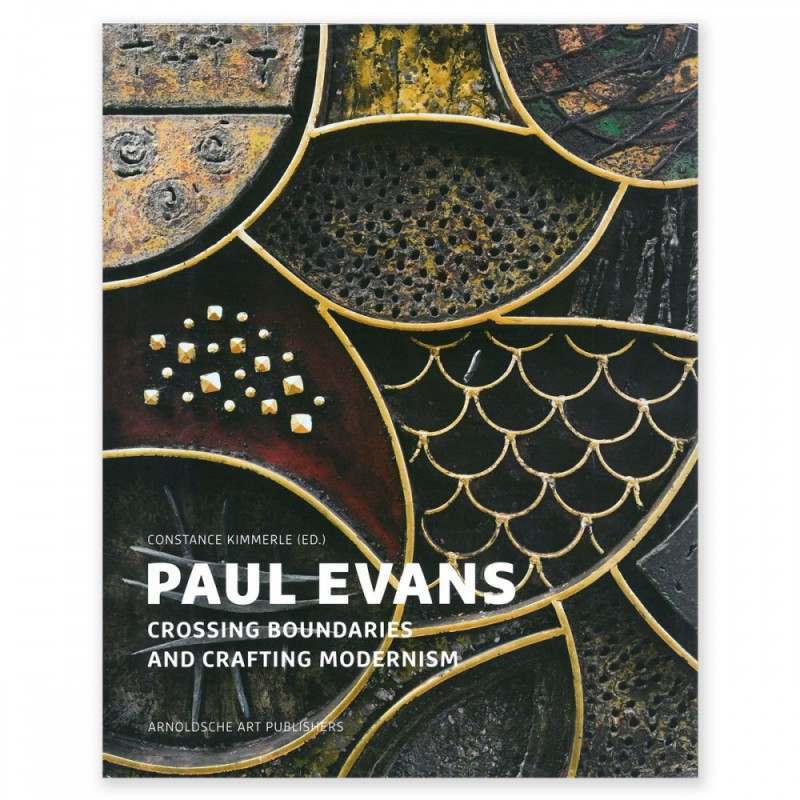 Opening earlier this year at the Michener Art Museum in Doylestown, Pennsylvania, and then traveling to Cranbrook Art Museum—the only other venue for the exhibition—Paul Evans: Crossing Boundaries and Crafting Modernism will be comprised of some sixty-eight works, spanning the artist’s entire career. 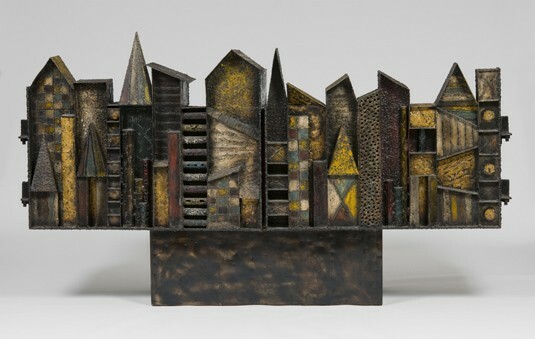 It includes choice examples of Evans’s early metalwork and jewelry, collaborative pieces made by Evans and Phillip Lloyd Powell during the fifties when they shared a studio, as well as a comprehensive selection of Evans’s studio work representing his sculpted steel; verdigris copper; copper, bronze and pewter; argenté sculpted bronze, and cityscape techniques. The show will also include examples of Evans’s sculpture as well as a selection of work he produced for Directional Furniture Company. The presentation at Cranbrook Art Museum will include work by Evans’s contemporaries selected from Cranbrook’s permanent collection, including the celebrated Shuey Collection, placing his pioneering designs for furniture with the context of concurrent trends in midcentury art and design. Paul Evans studied Metalsmithing at Cranbrook Academy of Art in 1952 and 1953, working with Artist-in-Residence Richard Thomas. Paul Evans: Crossing Boundaries and Crafting Modernism was organized by the James A. Michener Art Museum, Doylestown, Pennsylvania, and curated by Constance Kimmerle. The presentation at Cranbrook is supported, in part, by the David Klein and Kathryn Ostrove Exhibition Fund.